“In a land of myth and a time of magic, the destiny of a great kingdom rests on the shoulders of a young boy. His name: Merlin”. So begins each episode of the BBC series Merlin, narrated by the great John Hurt, otherwise known as the voice of the dragon. The third season of this popular series recently aired in the United Kingdom and a fourth season will begin filming in the spring. Now BBC America and Warner Bros. Entertainment bring you the DVD release of Merlin: The Complete Second Season for the first time on region 1. 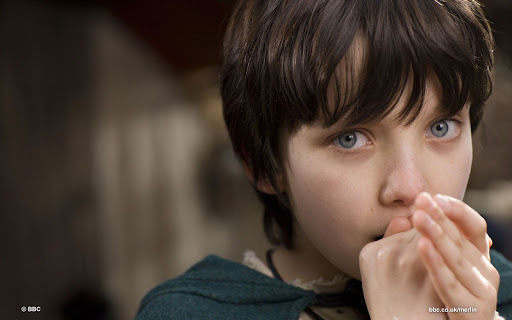 Merlin is the story of the young Merlin (Colin Morgan) and how he comes to meet and serve Prince Arthur. Arthur’s father, King Uther of Camelot (Anthony Head, Buffy the Vampire Slayer), has outlawed magic and the practice of sorcery is a crime punishable by death. 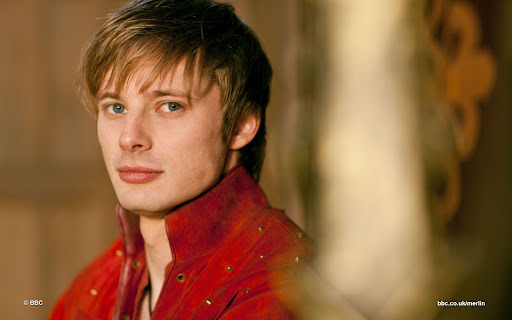 In the first season of Merlin, we discover that Prince Arthur (Bradley James) is arrogant and entitled while Merlin is young and unsure of himself. Everything changes in the second season as Merlin learns more about his destiny and the powerful magic that he bears while Arthur embraces his sense of duty and learns humility and love. 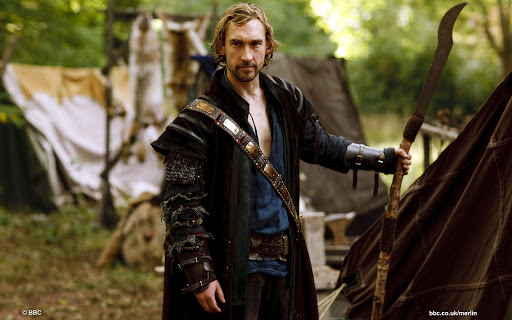 The second season of Merlin gets off to a fantastic start with a host of guest actors representing the cream of the British acting world. 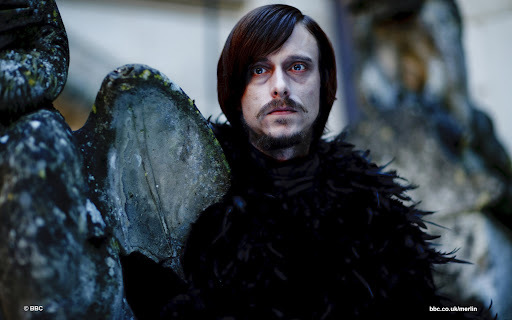 Mackenzie Crook stars in “The Curse of Cornelius Sigan” as the ambitious crook Cedric who breaks the curse of Sigan and is possessed by his spirit. 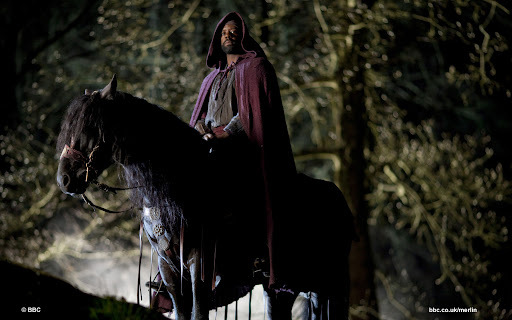 In “The Once and Future Queen”, Adrian Lester stars as the assassin Myror while Colin Salmon stars as the druid Aglain in “The Nightmare Begins”. 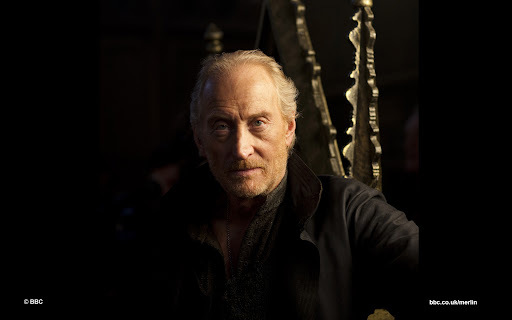 Sarah Parish makes a mid-season appearance as the troll Lady Catrina in the two-part “Beauty and the Beast” and veteran actor Charles Dance is the conniving vigilante Aredian in “The Witchfinder”. Druids, curses, magical creatures and sorcery make this one of the most exciting seasons of British television in years. The special effects in Merlin are a treat and the most notable example is the Great Dragon, Kilgharrah (voiced by John Hurt). The wildren (giant human-eating rats) in “Lancelot and Guinevere” were as terrifying as they were realistic and the bastet in “The Lady of the Lake” (a large panther-like creature with bat wings) was just incredible. While the season forges ahead as Arthur and Merlin battle assassins, monsters and powerful sorcerers, it is the underlying story that keeps viewers coming back for more. It is during this season that Morgana begins to learn of the existence and extent of her magical powers. She makes deadly liaisons with the likes of Mordred, the druid boy that she and Merlin helped escape in the first season and Morgause (played by Emilia Fox), a powerful sorceress who plays a massive part over the next two seasons. For those that know the Arthurian legend, this is the season where Morgana’s destiny finally begins to unravel. 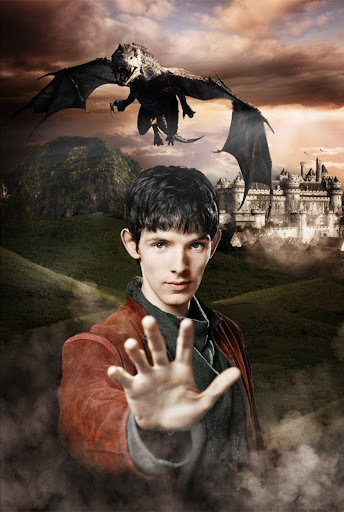 Merlin continues to learn about his own magic and destiny but the biggest revelation occurs in the final episode “The Last Dragonlord”. 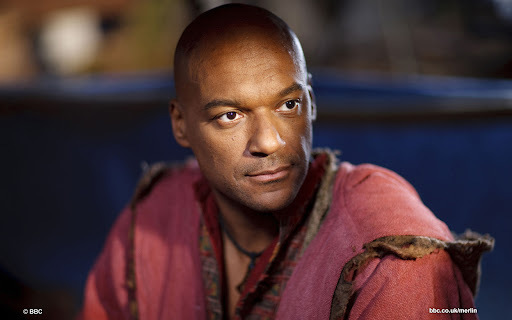 In this episode, Merlin learns not only who his father is but also realises he has more power than he ever could have imagined. 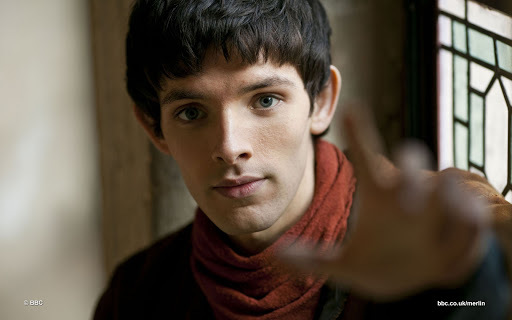 While much of the series is light-hearted and focuses on the cheery banter between Arthur and Merlin, we get to see Merlin’s heartbreak, determination and fury and realise for the first time what a good actor Colin Morgan really is. In the midst of the battles and talk of destiny and greatness there emerges one of the greatest love stories of all time. Without going into the specifics and revealing the plot, might I just say that the kisses in “The Once and Future Queen”, “Lancelot and Guinevere” and “The Lady of the Lake” had me squealing with glee. 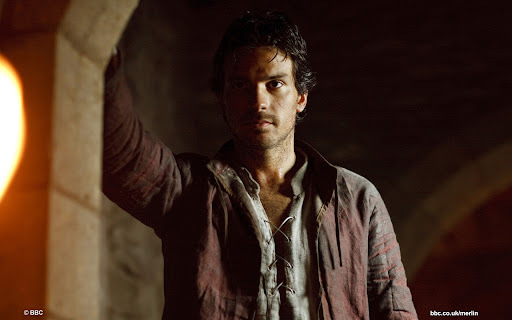 Santiago Cabrera reprises his role as the gallant and courageous Lancelot and we can only hope that he will have a much larger role to play in future seasons. Merlin: The Complete Second Season is available as a box set and includes several DVD extras including a cast and crew introduction to season two, audio commentaries, “Behind the Scenes” and “The Making of Merlin” featurettes as well as photo galleries and wallpapers. The packaging features several high quality images of the cast and each of the five discs is imprinted with a separate image. The BBC’s Merlin is one of the best fantasy adventure shows on British television at present and this season does not disappoint. Merlin is officially a children’s show airing early on a Saturday evening but I would recommend this show for adults and children alike. For magic, adventure, intrigue and romance, I highly recommend Merlin: The Complete Second Season and give it five out of five stars. 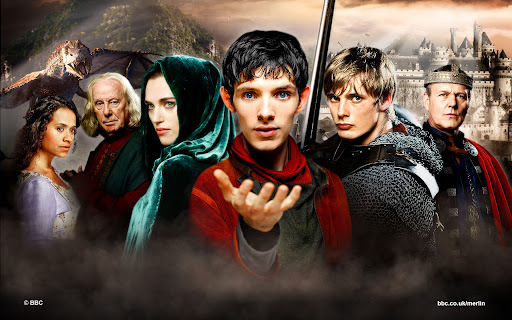 Article first published as DVD Review: Merlin: The Complete Second Season on Blogcritics. Affiliate links are used in this post. Could this be a Harry Potter alike? I love magic and enchantment. @ Self Sagacity: interesting question, dear. It is not specifically aimed at children as the characters are slightly older and it is not nearly as dark. But certainly recommended if you're a fan of Harry Potter.